Awwwww… Bunny Love. Happy Easter! When something is just too cute for words. Happy Easter a little bit early, everyone! 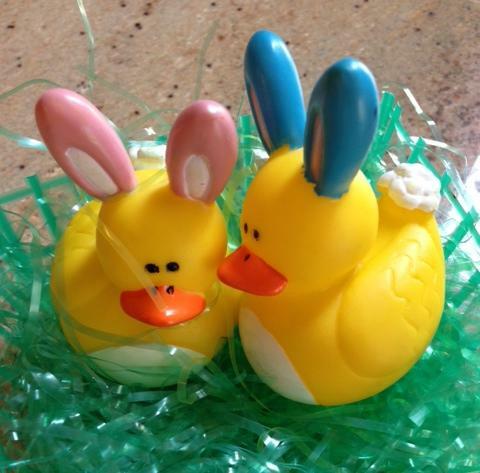 This entry was posted in My Humor..., Sharing The Love and tagged Cute photo, Easter, Easter basket, Easter Bunny, love, rubber ducky, Rubber Ducky Easter Bunnies, Rubber Ducky Easter Bunny. Wishing you and your family a basket of bright springtime smiles. May all the beauty of this blessed season fill your hearts with joy.